PERSONAL PROJECTS | I have a goal to create an annual report for my own business every year, where I can think freely, experiment, explore and challenge myself both on typography, images, layout and content. Panama is a word, a country or a desired location. 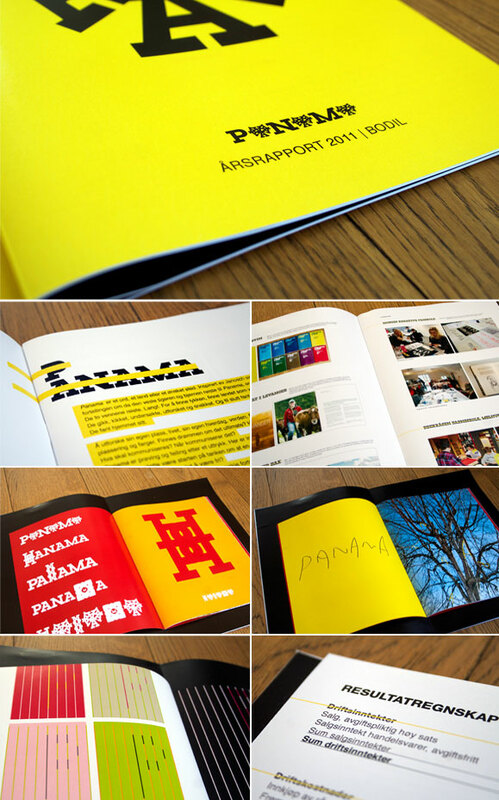 Inspired by Janosch and his history The trip to Panama, the story of how the little tiger and the bear traveled to Panama, the theme for the annual report 2011 was to explore the word Panama. The two friends traveled to find happiness and a different country. They walked, looked, examined, explored and talked. And finally they found Panama, the finest country on earth. They found their home. I explored my own space, my life, my everyday world. I explored a word. Panama. Typography, placement and colors. What is the dream of the ultimate? Where is it? When is enough enough? What should be communicated? When should we communicate? The theme in the annual report is a trial and error for a phrase. Nothing predestined, no rules or restrictions. Maybe this could be the start of the idea of ​​eventually finding a cross between defined rules for a given profile and to be free? The answer is not here, this is the start of something that can be a new and exciting way to develop a visual profile. Or I might end up to where I initially started. Inspired by the tiger and the bear. 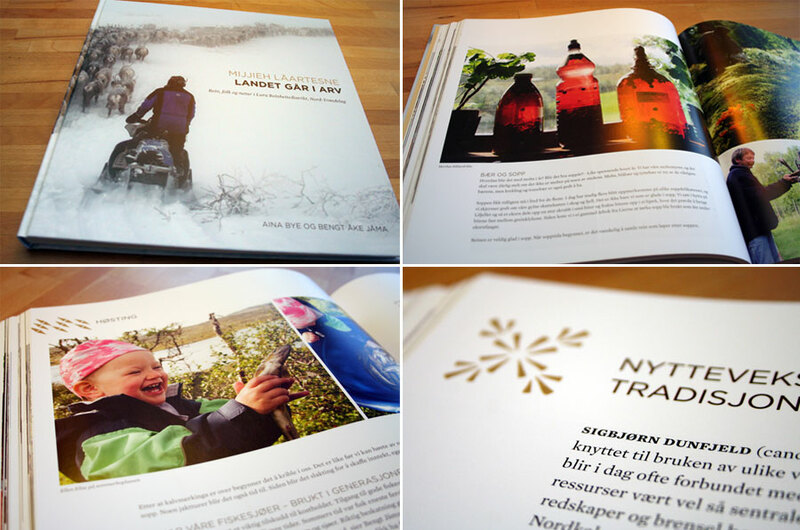 WORK IN PROGRESS | After working on the book for about a month, we can now see the outline of the book. Using images of the clothes combined with sketches and inspiration images, the pages are starting to look very exciting. After some experimentation with different typography I have selected the font Brandon Grotesque as the main font. Brandon Grotesque is a sans serif type family of six weights plus matching italics. It was designed by Hannes von Döhren in 2009/10. Influenced by the geometric-style sans serif faces that were popular during the 1920s and 30s, the fonts are based on geometric forms that have been optically corrected for better legibility. This is a conscious choice because Anne and Rita in Duodu is strongly affected by the style of 1920s and 30s. Brandon Grotesque has a functional look with a warm touch. Brandon Grotesque is equipped for complex, professional typography. Brandon Grotesque won the TDC2 Award, 2011. In addition to the font/type Brandon Grotesque I have chosen capital letters in the font Arnold Boecklin as an intro to each chapter. The capital letters act as large decorative Illustrations through the book. This expression is related to Anne and Rita’s inspiration and fascination for the Jugend style movement. The font, Arnold Boecklin, appeared in 1904 with the font foundry Otto Weisert. 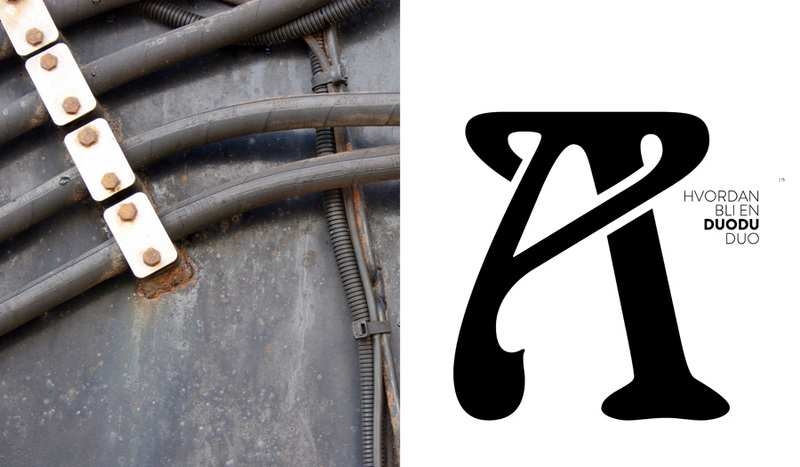 Traces of the floral forms of the Jugend style can still be seen in this typeface. Alphabets of this type were mainly meant for larger point sizes, as on posters. A decorative feel was much more important than legibility, and Arnold Boecklin was of particular importance to the book design of the Jugend style movement. 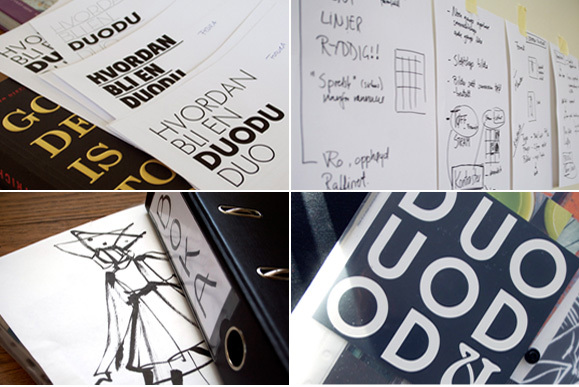 The work continues and the launch date will be when Duodu have their 15-year anniversary February 28 2013. A NEW AND EXCITING JOB. DUODU BOOK. 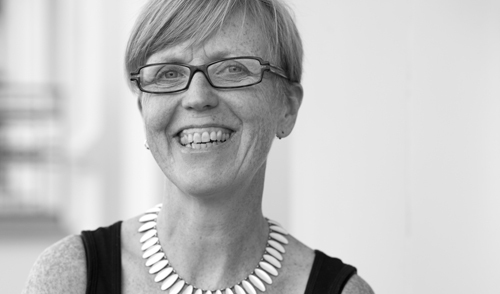 WORK IN PROGRESS | DUODU knitwear designs is a two-woman studio, run by Rita Nylander and Anne Grut Sørum. For 15 years they have designed and produced exciting and different outfits for quality-conscious customers looking for something special. Their products are being sculptural in style and made to embrace and celebrate the human form, woman or man. I’ve just been given the job of designing their new book and am incredibly excited and happy. The book should not only be about the artists but also about how we can see knitting in a larger perspective related to both identity and art. Author: Eva Furseth. Today we started the process of looking at values and personality related to typography, colours, pictures etc. We looked at other books, different typography and various formats. Then there was salad, coffee and chocolate. A good start of an exciting project. WORK | Directly from MOO Print in London my new business cards arrived today. Four layers of Mohawk Superfine paper combined with MOO’s Quadplex technology produced with a red seam of colour within the layers, the cards are extremely nice. 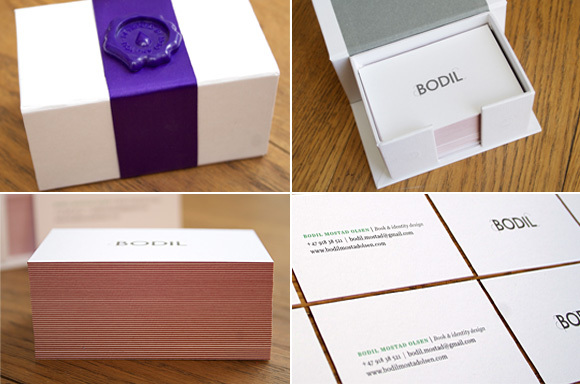 The cards are 600gsm, which is roughly twice as thick as standard business cards. 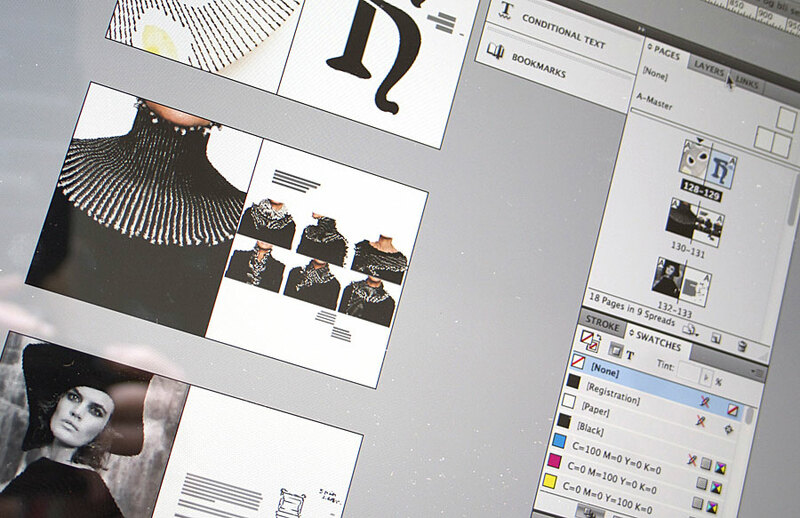 WORK | Developing its own logo and identity is often put on hold. Customers and projects always go first. But finally, my new logo and identity has been designed. 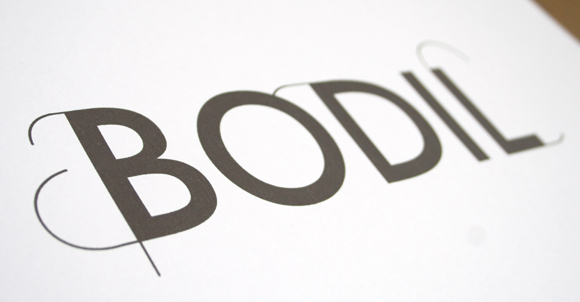 I am inspired by sophisticated typography, the contrast between light and playful shapes, elegance and simplicity. 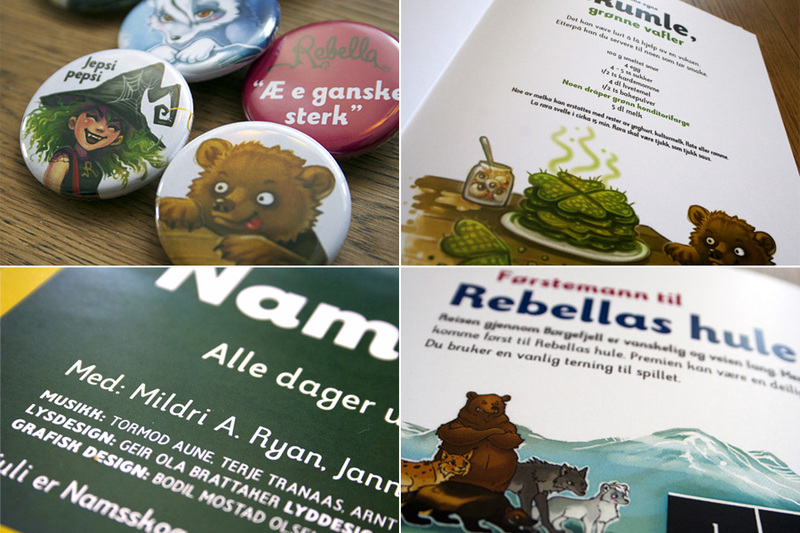 With great help from Eirik Backer the website will soon be launched, and October 12 brand new business cards will be delivered from MOO print shop in London. 600 gr Luxe Business Cards. TRAVEL | Spending three weeks working in Barcelona, included the OFFF festival is a good way to spend the month of May. The OFFF festival has given a lot of inspiration by watching good work from great speakers. OFFF is an entity in continuous transformation, alive and evolutionary. More than a decade ago, it was born as a post-digital culture festival; a meeting place to host contemporary creation through an in depth programme of conferences, workshops and performances by the most relevant artists of our time. These days, OFFF keeps being a reference event throughout the world. A festival hosted in Barcelona, New York, Lisbon and Paris which has featured renowned artists such as Joshua Davis, Stefan Sagmeister, John Maeda, Neville Brody, Chris Milk, Paula Scher, Rick Poynor, Erik Spiekermann, Dvein, Erik Natzke, Vincent Moon, among others…The festival where a new generation of artists has originated and developed. All of them started attending OFFF as spectators. Today, they take up its main stage. 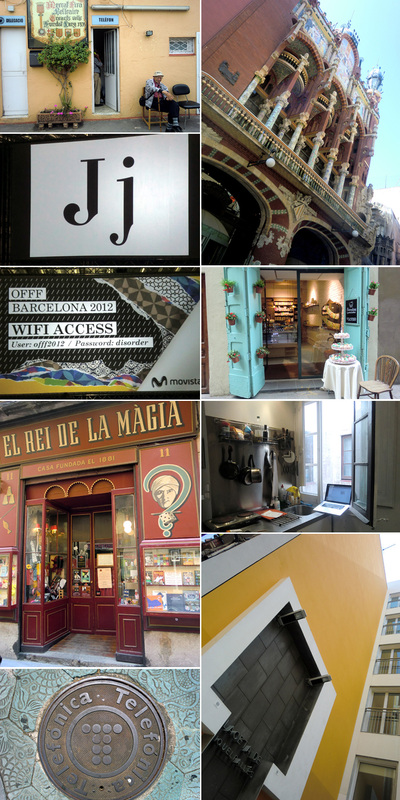 Being in Barcelona with its outstanding architecture, colours, graphics, decor, food, beach, shops and coffee at Cafés el Magnifico is highly recommended. 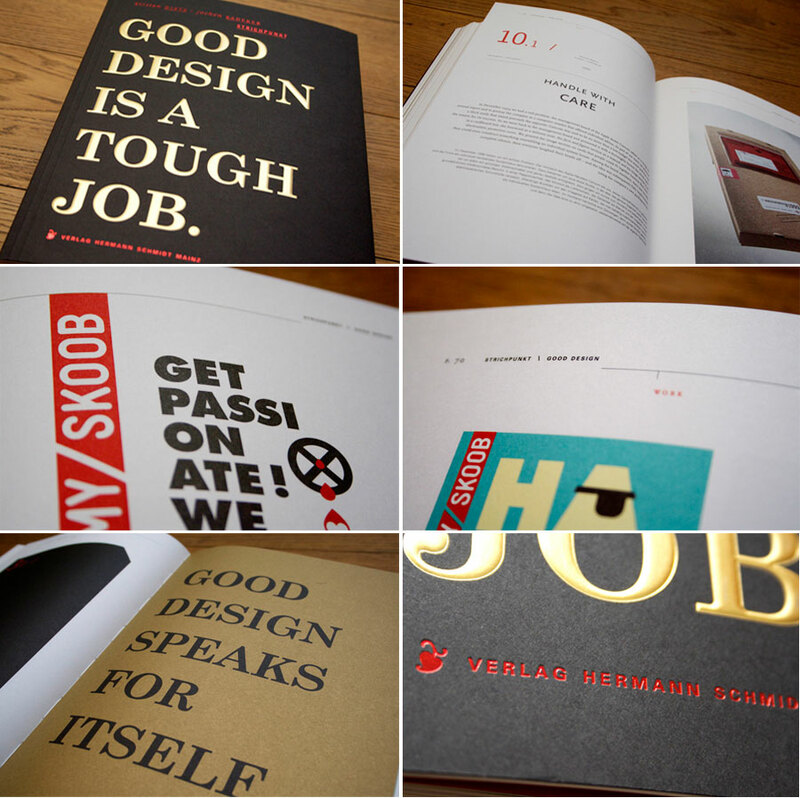 INSPIRATION | Good design is a tough job. New lovely book received today, directly from Germany and the publisher Hermann Schmidt Mainz. 40 projects. 40 theses. 1 manifesto by Kirsten Dietz & Jochen Rädeker. People mostly judge design on whether they like it or not. Although that is important, it is but one criterion. This book not only showcases their work, but also sets out in twenty theses the basic principles of what constitutes good design. Theses for an informed discussion, which is necessary if design is to be more than just pretty to look at. When designers understand their career as not just a job, but an attitude. This is what the book is about, what concerns the writers, what they believe in. TRAVEL | Visited Beijing to establish contacts. The goal is to create a book related to a possible paper clip exhibition in 2014. New culture, good food, interesting meetings, exhibitions and wonderful people. Met Tone Helene Aarvik, First Secretary, Press and Culture at the Royal Norwegian Embassy, and Xiaoguang Qiao who is a well-known Chinese paper cutting artist and a professor at the Central Academy of Fine Arts in Beijing. 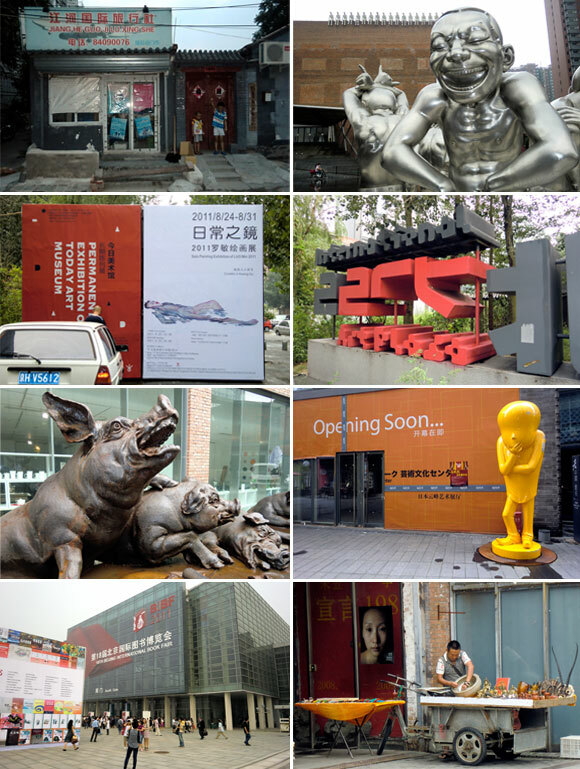 Both meetings were very successful and will hopefully be an important contribution to the continuing process of a book and an exhibition China in 2014. And of course The Great Wall, The Forbidden City, Hutongs, opera, many cars, heat and a lot of pollution. And not to mention: inspiration!